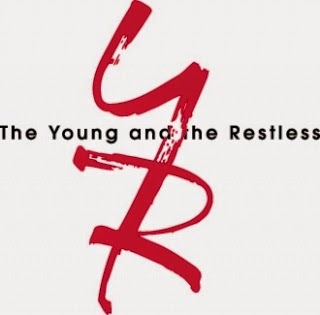 The summer storylines are heating up on Y&R and September promises to be quite intriguing. We've had our first glimpse of the new Phyllis, as portrayed by Gina Tognoni. The Sleeping Beauty is just beginning to awaken, so we don't really know what she'll be like in the role. I'm trying to keep in mind that it's not Gina's fault that Michelle Stafford decided to leave the show. What is Jack going to do when he has to choose between Phyllis and Kelly? I think he's going to choose the redhead and there will be heartache for Kelly. Victor will probably be praised for helping Phyllis come out of her coma. The Big Man always seems to win. So Neil Winters has lost his sight after being electrocuted. Of course, that`s just a plot device to prevent Devon and Hilary from being together (at least Hilary isn`t having a baby). Neil`s blindness will be temporary and he will eventually learn that his new wife was about to dump him before his accident. Will he then be tempted to go back to the bottle? Speaking of Hilary, the writers have left a loose end hanging in the wind. Who was her father? We know that her mother was Rose Turner, the woman Neil met at a bar and who subsequently died after he thought she had fallen asleep in a hotel room. Was Hilary's father Gus, the father of Leslie and Tyler. He had a connection with Rose and they wrote letters to each other. If Gus was indeed Hilary's father , that means that HIlary is their half-sister. However, that has never been made clear. Why haven't Leslie and Tyler discuss the matter. To my knowledge, they have never referred to Hilary as their sister, nor has HIlary referred to them as her siblings. Billy Boy Abbott has been acting far too smug and overconfident. I also think that the departure of Billy Miller has ruined the coupling of Victoria and Billy. Amelia Heinle (Victoria) had great chemistry with Billy Miller. As for Dr. Stitch, I think he has great chemistry with Ashley Abbott. I am looking forward to Eileen Davidson's return as Ashley in September. That should cause even more conflict between the Newmans and the Abbotts. Billy certainly won't be happy if his sister becomes involved with Stitch 'em up. It would certainly upset Jack and Victoria and Kelly too. Abby wouldn't be thrilled either. Shouldn't supposed wannabe super-dad Billy have taken Johnny to Connor's birthday bash in the park since they are half brothers and Chelsea is his biological mother? Might that have been him in the stroller with the nanny/sitter? If they continue with the Billy/Chelsea story line it could become very explosive if Billy tries to get custody of Johnny and create his dream family. Now that Chelsea has a hankering for Billy will her maternal instinct of love for her firstborn Johnny suddenly surface? I smell a potential Newman/Abbot sibling rivalry brewing! Was the party clown Adam himself or his smarmy gofer? Just an aside.....do Michael and Lauren pay rent to the GCPD for the regular use of their department to conduct their professional and personal business? Yes, CC, young Johnny should have been at Connor's birthday party. As you mention, he is Connor's half-brother. At the very least, the writers could have given us a plausible explanation for Johnny's absence. For example, perhaps Chelsea doesn't want to get too involved in Johnny's life, or too attached to him, after giving him up to Billy and Victoria. I also wondered whether the party clown was Adam Newman in disguise. I came to the the conclusion that the clown was actually Adam. II don't think he sent his "smarmy gofer." because he wanted to see Connor for himself. It was an ideal way for him to be near his child without being recognized. Yes, Michael and Lauren do spend a lot of time at the police station for "professional and personal business." It seems they are always rescuing Kevin and helping him deal with his problems and misdeeds. Now that Fen has gone off to college, they are empty nesters. It's challenging for the writers to come up with storylines for happy couples. As for Fen, I think he will return at some point, but perhaps another actor will play the role. He may eventually become romantically involved with Summer because there's just no way she and Austin are going to last. I noticed that Police Chief Paul Williams with his new liver was drinking wine at the cabin. He sure bounced back from that transplant. Just saying . . . I do remember your previous comment that he and Dylan sure bounced back from surgery pretty fast BUT alcohol intake is just toooo much. And much toooo soon. I might add. That's a very astute observation, Patsy. Thanks for pointing it out. Perhaps the writers just forgot about Paul's transplant, or maybe they figured that viewers wouldn't notice. If so, they underestimated the show's fans, especially keen observers like you. Someone must have been asleep at the switch. In he past, the writers have made a point of having recovering alcoholics drink club soda or sparkling water. What next? Will a pregnant Victoria be shown drinking wine? By the way, I don't blame Cricket for being upset with Nikki for barging in on her honeymoon getaway with the Clueless Paul. Nikki has some nerve disturbing the Cricketmeister and Clueless on some flimsy excuse about Ian Ward sicking the tabloid journalists on her. Christine was right on the mark when she told Nikki that she should be turning to her own husband, Victor, for support. Nikki Newman is going to start drinking again. 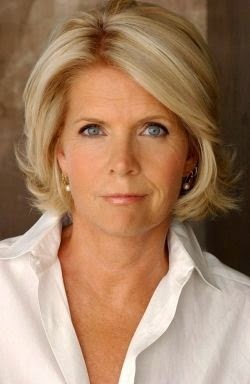 She will have a new drinking buddy named Maureen, played by Meredith Baxter of Family Ties fame. Meredith will be a great addition to the cast. By the way, Y&R viewer, Fifi from Collingwood, Ontario thinks that Meredith's character will turn out to be Dr. Stitch's mother, whom he is probably protecting. She may have killed Stitch and Kelly's abusive father and Stitch 'em up may have served time in prison for her sake. A representative for The Young and the Restless described Meredith Baxter's new character, Maureen, as "a charming, intelligent, middle-class woman who has always aspired to a more privileged life than she's had. She appears kind and sympathetic, but can be quite manipulative. She is skilled at getting people to do the things she wants them to do by making them think it's their idea!" Meredith Baxter will make her first appearance as Maureen on Friday, September 8 on CBS (Thursday, September 7 on Global TV in Canada). In October, Scott Elrod will be seen in the role of Avery's ex-husband, Joe Clark ( a familiar name to Canadians, that of our former prime minister). I doubt that Dylan is going to be thrilled about Avery's ex showing up in town. In the last edition of Y&R Report, I wrote a "whatever happened to . . . on Julianna McCarthy, who played Liz Foster for many years. 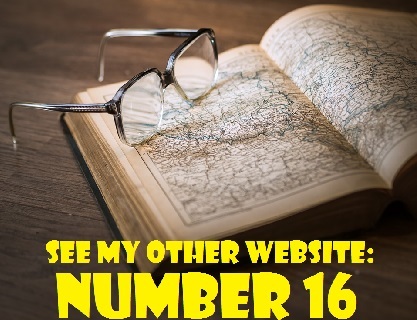 Now I would like to hear from readers. Which former Y&R actor would you like me to do an update on? This poll will give you a list of five former stars of the show to choose from. On my next Y&R Report, I will do a "whatever happened to . . . on whomever you, the readers, decide on. If there are other Y&R actors on whom you would like an update, please let me know. Which of these five former Y&R actors would you like me to write a"Whatever happened to . . . ?" about? The nest edition of the Y&R Report will appear in this space on Saturday, August 30, 2014.